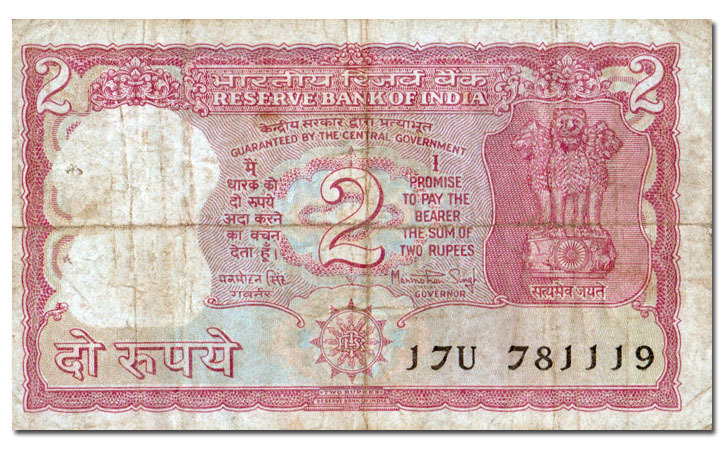 "Rupee" is one of those words that make schoolboys snicker. It comes from an old Sanskrit word for silver. As for the three lions, that's the National Emblem of India, the Lion Capital of Asoka. More here.